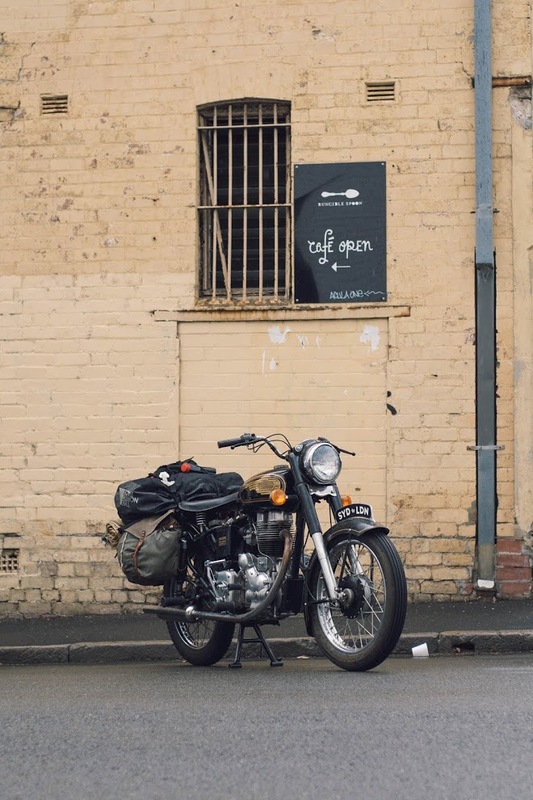 Sydney to London on a 1969 Royal Enfield Bullet. The planned route from Sydney to London. January 2014 until whenever. 23 countries. 2 wheels. 1 ride of a lifetime. Again. In 2012 I rode a 150cc Honda around South America, capturing the trip in a photo blog that gathered over a million views in the process. The trip was exciting, challenging and gave me a new perspective on my own life and where it was heading. I returned home not long after a suicide in the family. He was not the first person that I had lost that was close to me this way. I was concerned he may have not be the last. These young men noted they felt they didn’t live up to expectations, they felt they couldn’t provide, they felt they didn’t belong. I didn’t know the answers but I knew I couldn’t help by doing nothing. So I followed on from someone who has always been a key figure of support in my life - my grandfather. I decided to ride the motorcycle he had at my age and try find out some answers. And in the tradition of adventure I'm riding my vintage motorbike across the world, exploring the concepts of masculinity and manhood from country to country, garage to garage, and workshop to workshop. I am funding this adventure myself and as I undertake this trip across the world, I am also welcoming your support as I raise funds for Beyond Blue, an Australian charity "working to reduce the impact of depression and anxiety in the community". Please consider donating to Beyond Blue (it's tax deductible in Australia). 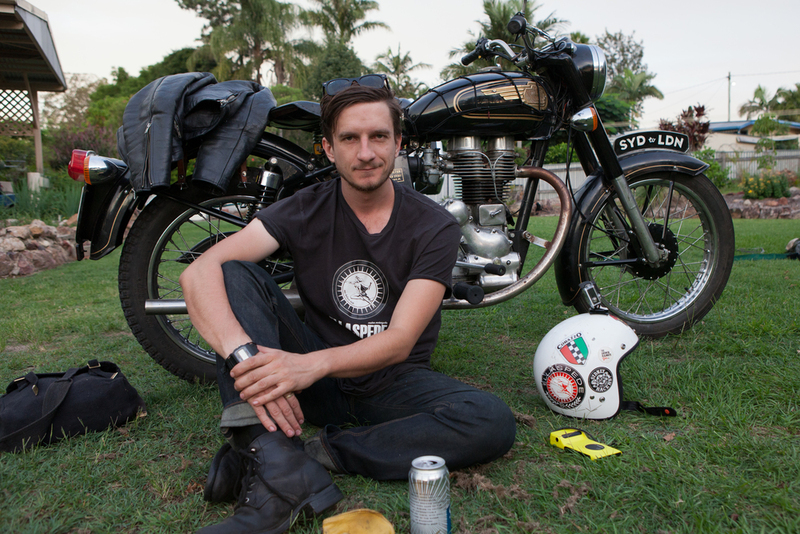 "I wasn't a mechanic before I owned a Royal Enfield. A bit like this one." Gympie mechanic. A 1969 Royal Enfield Bullet doesn't seem like the first choice for a trip around the world. It leaks oil, blows pistons, sheds parts and rides with what are best called "aspirational" brakes. It is, in every sense, a 45 year old motorbike. But there was no real choice. Not when I thought about it. 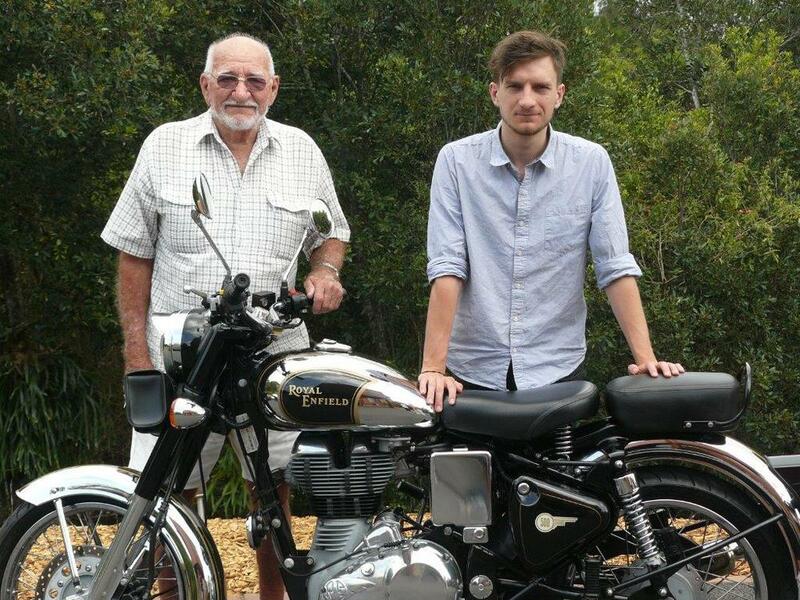 As the fifth generation of motorcycle riders in my family, and the fourth to ride Royal Enfields, the bike found me. The same make and model that my grandfather rode at my age. This isn't an excuse to celebrate the perfection of engineering, but to explore the sense of journey. The bike and my work raising awareness of men's health issues seems intimately connected to the challenge ahead. I will be keeping a record of the work done to prepare the bike for the roads ahead, and the work required to keep it running at all. I will fix what I can myself, and I will rely on the help of the riding community and strangers for the rest. Which seems a lot like life. "No good adventure started with the phrase 'and everything went perfectly to plan'". My name is Jonathan Gibson, a former urban designer and bar tender from Sydney. Now, I'm simply a motorcyclist, riding a vintage motorbike across the world while exploring themes and settings of manhood and motor culture. While I'm setting out solo, I will be joined at various legs of the trip by friends, family and the global motorbike community. And hopefully more than a few mechanics to help me keep the Royal Enfield running from one country to another. If you would like to catch up, keep an eye on the site and social media as my location tracker updates my progress, and get in touch via email or your flavour of social media. I love to talk maps, motorbikes and media/sponsor opportunities as I make my way to London the long way. Also check out the Pit Crew and Supporters page to see some of the collaboration and community that has supported my journey.